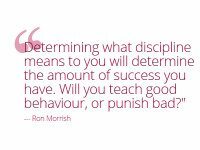 Ronald Morrish is an educator, international speaker and author of the books, Secrets of Discipline and With All Due Respect. 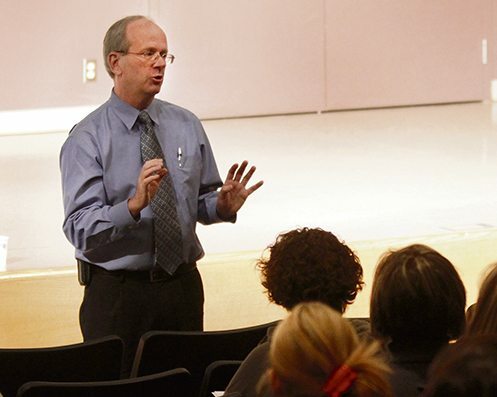 He has provided over 2000 seminars for teachers and parents. Here’s something to think about – Bedtime for your children will always be one of two things. Bedtime will be a routine or bedtime will be an event! The first way takes about 10 minutes and the second takes about an hour. Every parent instantly understands this issue because every parent has been there. 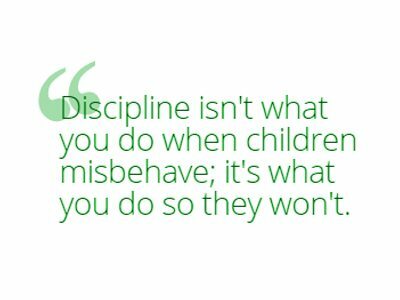 This is just one of the many practical, common-sense strategies presented by Ronald Morrish during his humorous and refreshing seminar on the topic of discipline for raising responsible children. He also provides insights into many common issues such as chores, allowance, homework and the complexity of adolescent behaviour. 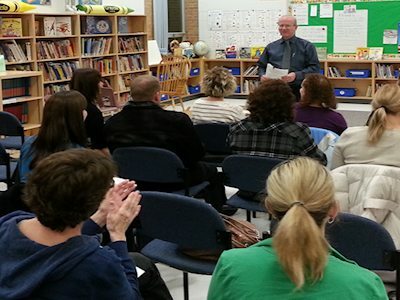 Parents learn how to discipline without all the punishment, confrontations and deal-making. They go home with many great ideas that they can start using the very next day. 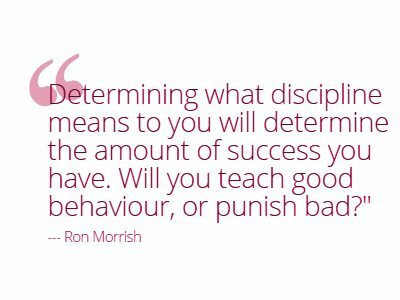 Ronald Morrish is an educator, international speaker and author of the books, Secrets of Discipline and With All Due Respect. He is also the parent of four children. 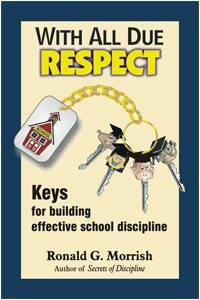 For schools to meet their academic goals, it is essential that students behave in a respectful and responsible manner. This requires a combination of positive school discipline and effective classroom management. 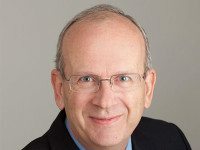 In this seminar, you will learn a host of practical techniques for preventing behaviour problems, building teacher authority, instilling situational behaviours and resolving incidents. Special issues related to adolescents will also be explored along with the importance of modelling, rapport and teamwork. "Fantastic, fun and absolutely right on. Techniques discussed take time and commitment but it's all worth it in the end." "Great seminar! Informative, interesting and elevating. Through humour and examples, we learned about discipline as a positive force." "Thank you for the seminar. We went in as parents of unruly children that don't listen, pick up or go to bed on time. We now have better tools. So, as of this morning, our home is disciplined in a new manner that I can see will make it better for everyone - with better understanding and listening, instead of threats and tantrums." 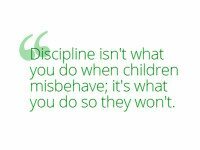 "Secrets of Discipline" is must reading for all parents, teachers and care givers who are in need of a clear, understandable framework for getting discipline back on track. 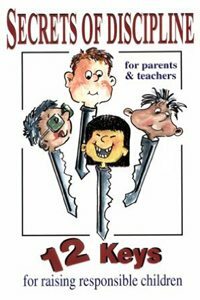 The parent-friendly, kid-effective guidance is practical, effective and immediately applicable. Highly recommended. "I was one of those teachers who was constantly putting out fires in the classroom. I have already changed the way I look at things within the classroom and have started using some of your techniques. A personal thank you for the great presentation." "Your workshop was informative and thought-provoking. It made a HUGE impact on my life as a teacher and educator. Not only did I use more effective strategies with my students but have been asked to lead mini-workshops about various aspects of management in my class stemming from your books/philosophy. Thank you for the inspiration." "Many excellent examples that were extremely practical. Each person could take something away with them that could be implemented immediately."